Every day is game day, and while some stages are bigger than others, every competitor gave their all to be worthy of a spot in the competition. 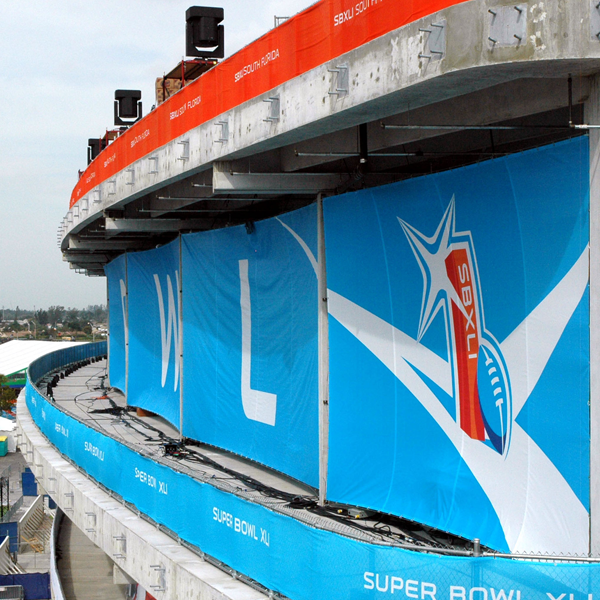 Vision Graphics has earned the trust of the biggest games and most recognized leagues in the world, providing color, imagery and atmosphere seen by over a billion people worldwide. A company that has been there, done that provides a level of comfort that can’t be replicated from a first-timer. Vision Graphics has been on-site, designing, producing, installing and realizing the visions of the world’s most demanding clients. Whether your event calls for one graphics or thousands of elements, Vision Graphics provides the expertise and technology to track progress, plan deliveries and guarantee installation on time and on budget. Consolidate your sourcing to one company that can handle the bulk of your visual communications needs. As a USA Top Shop, Vision Graphics employs a wide variety of machines and thousands of substrates. We provide rigid, vinyl, plastic, fabric substrates, custom cuts and numerous finishing options. The Larry H. Miller Tour of Utah, referred to as “America’s Toughest Stage Race,” is a week-long, men’s professional stage race for the best cycling teams in the world. The 2015 Tour of Utah has been upgraded, making it one of the three top-rated road races in North America for men. The 2014 Tour of Utah covered 753 miles of racing and 57,863 feet of elevation gain. 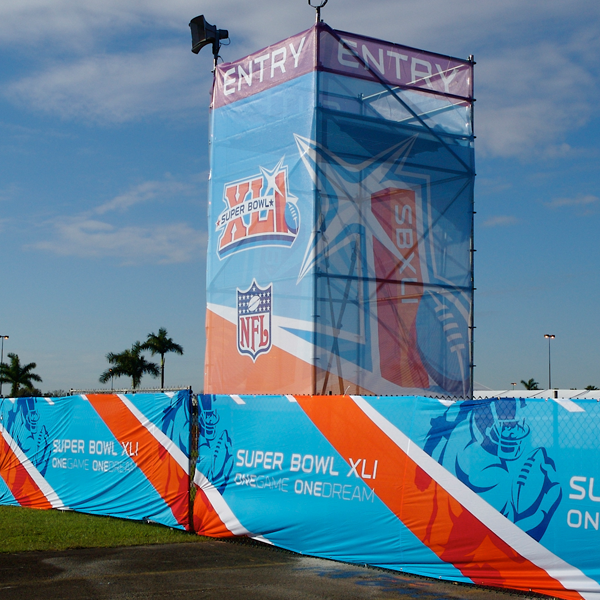 Vision Graphics is proud of our multi-year involvement, producing dozens of elements, including start/finish line displays, branded retention fencing, flags, banners, media backdrops, event stands and booths. With a combination of floor graphics, rigid substrates, banners, decals and hundreds of other products, Energy Solutions Arena provides a colorful, functional, branded experience. At game time, fans on the scene, or watching over the tube, see the graphics, both inside and out of the arena. 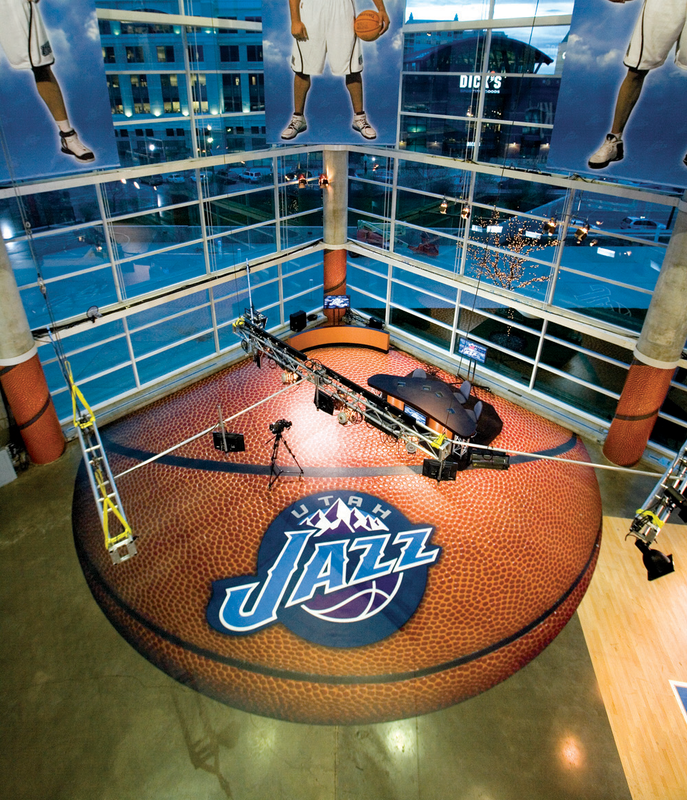 With elements as small as a business card to window treatments of players four stories high to the flags honoring Jazz legends, Vision Graphics produces high-quality visual elements to enhance the overall experience. 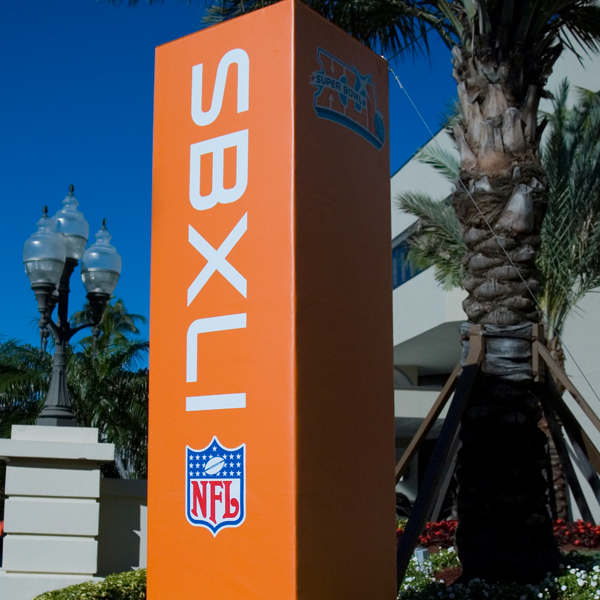 We also do work for the Tennessee Titans, Cincinnati Bengals, Salt Lake Bees, among others, Vision Graphics tracks every visual element, provides design expertise and oversees installation to ensure a perfect result, every time. You don’t have to worry about the outcome when you turn to the team that has more solid “wins” for its clients than anyone else.